Klook offers 5% OFF on select tours and sightseeing activities with BDO Cards. The offer is valid until 30 June 2019. Get the offer. Please always check with the merchant on the validity of the promotion before purchase. Klook offers an extra 15% off on tours and sightseeing activities with Mastercard. The offer is valid until 30 June 2019. Enter the promo code at the checkout to get the offer. Please always check with the merchant on the validity of the promotion before purchase. Get P1000 Off on various activities and attractions on Klook with your BDO Visa Credit Card! Klook offers P1000 Off on various activities and attractions on Klook with your BDO Visa Credit Card. The offer is valid until 21 April 2019. Get the deal. Please always check with the merchant on the validity of the promotion before purchase. Klook offers P800 off on any activity in Hong Kong, Japan, Korea, and Taiwan for a minimum spend of P10,000 with your BDO Cards. The offer is valid until 21 April 2019. Enter the promo code at the checkout to get the offer. Please always check with the merchant on the validity of the promotion before purchase. Klook offers 15% off extra on Pocket WiFi Rental using MasterCard. The offer is valid until 30 June 2019. Enter the promo code at the checkout to get the offer. Please always check with the merchant on the validity of the promotion before purchase. Klook offers ₱350 off when you buy 4 tickets to Universal Studios Singapore. The offer is valid until 28 April 2019. Get the deal. Please always check with the merchant on the validity of the promotion before purchase. 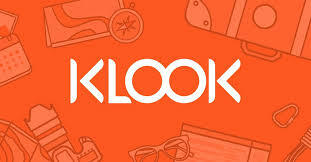 Klook offers up to 15% off at Klook activities with BDO Mastercard. The offer is valid until 30 June 2019. Get the deal. Please always check with the merchant on the validity of the promotion before purchase. Japan Tour & Activities Bookings Available With Up To 82% Off. The offer is valid until 30 April 2019. Get the deal. Please always check with the merchant on the validity of the promotion before purchase. Klook offers ₱150 off on every successful referral. The offer is valid until 30 April 2019. Get the deal. Please always check with the merchant on the validity of the promotion before purchase. Klook offers up to 64% off on Hong Kong tour & activity bookings. The offer is valid until 30 April 2019. Get the deal. Please always check with the merchant on the validity of the promotion before purchase. Klook offers ₱1200 On Any USA Activity Bookings. The offer is valid until 30 April 2019. Get the deal. Please always check with the merchant on the validity of the promotion before purchase. Visit one of the new 7 Wonders Of the World with up to 25% off. The offer is valid until 30 April 2019. Get the deal. Please always check with the merchant on the validity of the promotion before purchase. Klook offers Up to 15% OFF with Klook and BDO Mastercard. The offer is valid until 31 December 2018. Get the deal. Please always check with the merchant on the validity of the promotion before purchase. Klook offers an extra 5% off on Activities in Singapore, Seoul & Hong Kong with your BPI Card. The offer is valid until 30 November 2018. Get the offer. Please always check with the merchant on the validity of the promotion before purchase. Klook Travel offers Up to 15% OFF with Klook with your BDO Mastercard. The offer is valid until 31 October 2018. Get the deal. Please always check with the merchant on the validity of the promotion before purchase. Klook offers up to 75% off for Visa Cardholders. The offer is valid until 31 October 2018. Get the deal. Please always check with the merchant on the validity of the promotion before purchase. Klook terms and conditions apply. Please always check with the merchant on the validity of the promotion before purchase. Klook offers a simple way to discover activities, attractions, and things to do wherever we travel. You can discover and book in-destination services at the best prices. With a few clicks or taps, you can hop on the next flight, leave your stress behind, and relax like you have never relaxed before. They believe that travel should be all fun with minimal work. So their mission is to make it simple for us to enjoy everything a destination offers. With travel experts based all over the world, Klook helps to uncover and curate the best experiences every day. With over 2,000,000 user reviews, you can always get an authentic look at their experiences. They ensure that all of their offerings deliver quality experiences at the best possible price. They’ll even refund the difference if you find any better deals! Klook's platform has an intuitive design and strict security measure to ensure that every customer experiences seamless and secure bookings. With so many options of places to go, things to do and activities curated for you by Klook, you literally have the world right at your fingertips! You can save time by skipping a visit to a tourist information booth when you get into your destination. You won’t have to haggle or get ripped off by local sellers. This website is trustworthy and reasonably-priced. Enjoy the numerous promotions Klook provides us, so you can save more on your next vacation. Klook has made it so much easier for anyone to plan a great trip, whether for business, vacation, or any other reason. Bookmark the page for all the latest Klook promo codes to save on your trip. Klook is a travel network company, founded in 2014 by three founders in Hong Kong. It’s services covered more than 80 cities around the world, providing more than 10,000 attractions! Klook is established in 8 cities around Southeast Asia. These countries included Hong Kong, Taipei, Singapore, Seoul, Shenzhen, Bangkok, Kuala Lumpur, and Manila. Their website was launched on September 2014. Then on April of 2015, their mobile app for Apple iOS and Android launched. It was praised as one of the best new application out there. Travel inspiration is a section on Klook where they curate and write articles about where you could go next. This time, they’re are “chasing spring”. They’re taking you on the best tours and attractions for Cherry Blossom season. You’re going to be picked up by the Kyoto Arashiyama Sagano Train. These tours and attractions are only a mere example of travel inspiration. This section is update frequently by Klook to attract us into using their services. I think this is a really neat way to show that they don’t only care about our money, but our travels and happiness as well. Klook Recommended is a curated section where they show us the picked and chosen attractions and activities for us to pick at our destination. This recommendation is based on Klook’s employees calculations and user reviews. The reviews user used are going to help future possible buyers to decide where or what kind of package they want to buy. At Klook, they hope to see local communities thrive as a result of tourism. It is their mission to support these communities through Responsible Tourism, an initiative to raise awareness of culture preservation, biodiversity conservation and environmental protection by partnering only with responsible tour operators and local social enterprises. By omitting unnecessary middlemen, their direct partnerships also ensure that the beneficiaries of this initiative are the operators themselves and the community they serve. The Klook app was raved one of the best apps that came out in 2015. Not only buying or planning your travels is made easier through the Klook website, they also provide a mobile app that is available on the App Store and Google Play to make it way more easier. You can also use the credit card promotions you have. Sometimes, additional promotions are available if you use the mobile application instead of their website. On top of that, you can also use the promotions that you found on our website. With this app, you can plan your travel or vacation wherever you are! What's more, simply show your e-tickets on the app to gain quick entry into most attractions! How's that for time-saving and being environmentally-friendly? Enter a destination, activity or attractions you are looking for. You will be given a list of attractions and activities around your destination. When you choose an activity or attraction, read the descriptions of the place. If there’s free cancellations, when it will be, the duration of the trip, and many more. Don’t forget to read the reviews and find out more about the place. When you’re buying it, check the available dates of the attraction and how many you want to buy. When you’re paying for your tickets, don’t forget to key in the promo codes you found here! Klook has so many choices for your travels and more. Save way more if you use Klook promotions and discount codes that we've curated for you here at Cardable for you to stretch your dollar. When you create an account on Klook, you might also get special promotions and discounts. This is only just the beginning. Klook is the website you want to visit after you booked your flight and hotel. You can get so much more out of your travelling budget. So the next time you want to plan your travels and vacation, remember that Klook Philippines is your number one choice!